Authorities are working to secure a bottle containing meth that was found in a car after they arrested a woman for theft. WINDHAM (NEWS CENTER Maine) — Authorities are working to secure a bottle containing meth that was found in a car after they arrested a woman for theft. Police say they responded to a report of a theft at the Hannaford in Windham, but when they arrived the suspect had driven to a nearby gas station. When police arrested the woman near the Citgo pumps on 357 Roosevelt Trail, they noticed an active "coke bottle" set up to brew meth in the backseat. 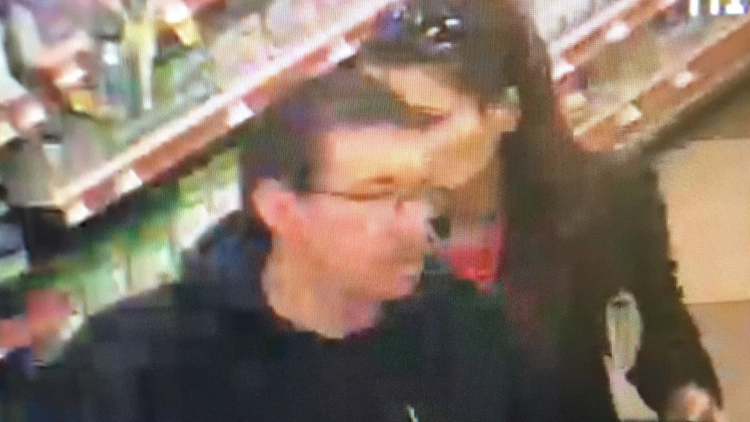 Police say they are searching for a man who was with the woman at the time of the theft and was seen on surveillance camera at Hannaford. Multiple agencies are responding to the meth lab including the Maine Drug Enforcement Agency and police from Portland.